Overnight oats are the perfect diet food that helps to fuel your day. You can top them with your choice of nuts and fruits. 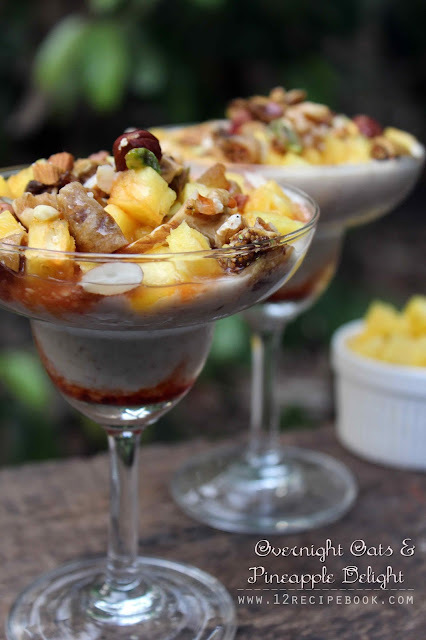 Overnight oats and pineapple delight is a delicious and easiest way to enjoy oats. You can use any kind of milk (coconut milk , soy milk, almond milk etc.) or yogurt to soak the oats as per your taste preference. In an air-tight container add oats, salt, sweetened condensed milk and milk. Mix well and cover the lid. Refrigerate overnight. After that the oats become thick and creamy. Take two serving glasses; add 1/2 tbsp of strawberry syrup in each glass. 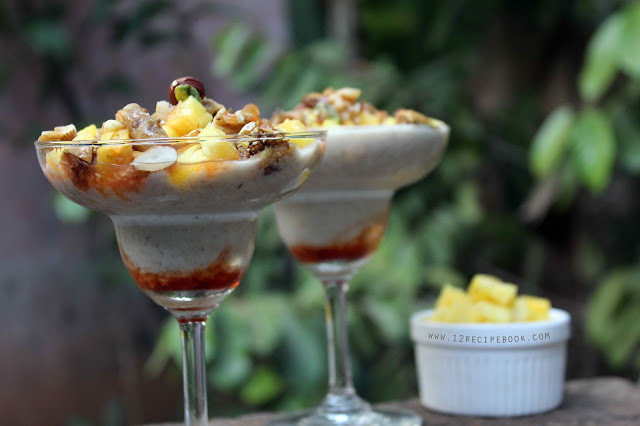 Next; fill the glasses with overnight oats up to it's 3/4 th level. 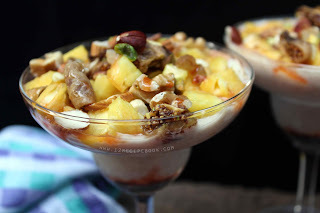 Add chopped pineapples on top; above that spread chopped nuts and dry fruits. Again top it with some more strawberry syrup and serve soon.